Operating limitations will be designed to fit the specific situation encountered. The FAA/DAR may impose any additional airshow aircraft limitations deemed necessary in the interest of safety. The FAA/DAR will review each imposed operating limitation with the applicant to ensure that the operating limitations are understood. NOTE: The group applicability (I-IV) is identified in boldface parentheses at the end of each limitation. NOTE: This limitation applies to all certificates issued to meet the requirements of FAR 91.319(b), (assigned test area). This limitation also is used when the aircraft’s home base is located in a densely populated area and/or in a congested airway. NOTE: This geographical area must be over open water or sparsely populated areas having light air traffic. The size of the area must be that required to safely conduct the anticipated maneuvers and tests. The area must be described by radius, coordinates, and/or landmarks. The minimum number of hours and maximum number of takeoffs and landings should be based on the aircraft’s condition and records, and the total time on the aircraft and its engine(s). To ensure national standardization, when issuing this limitation for turbine powered aircraft, the maximum number of hours normally should not exceed 10 and the minimum number of takeoffs and landings should be three. NOTE 2: The FAA will coordinate with the local FSDO operations unit to ensure that the departure/approach corridors that are established subject the fewest number of persons and least property to possible hazards and aircraft noise. This concept of a departure/approach corridor will be used when issuing operating limitations for aircraft that are based at airports within class B airspace. Established corridors will be used for all proficiency flights and event attendance. NOTE: This limitation is applicable to the aircraft after it has satisfactorily completed all flight testing requirements and has the appropriate endorsement in the logbook. NOTE: In addition to the requirements of FAR 91.303, appropriate limitations identifying the aerobatic maneuvers and conditions under which they may be performed shall be presented. 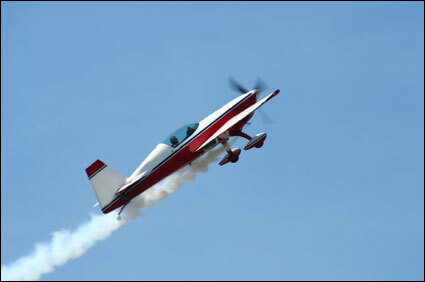 The FAA may witness aerobatic maneuvers ifdeemed necessary. NOTE: The geographically responsible FSDO and the local area FSDO office where the maintenance will take place must concur prior to approving the flight request. 47. The following placard, pertaining to gliders and sail planes having experimental certificates, must be displayed in the cockpit in full view of the pilot in addition to the requirements of FAR 91.9.